New Delhi : Chaitra Navratri is a fasting festival where many devotees, especially in North India believe to keep fast for nine days and worship Goddess Durga. On this fasting season, they depend largely on fruits and satvik foods. 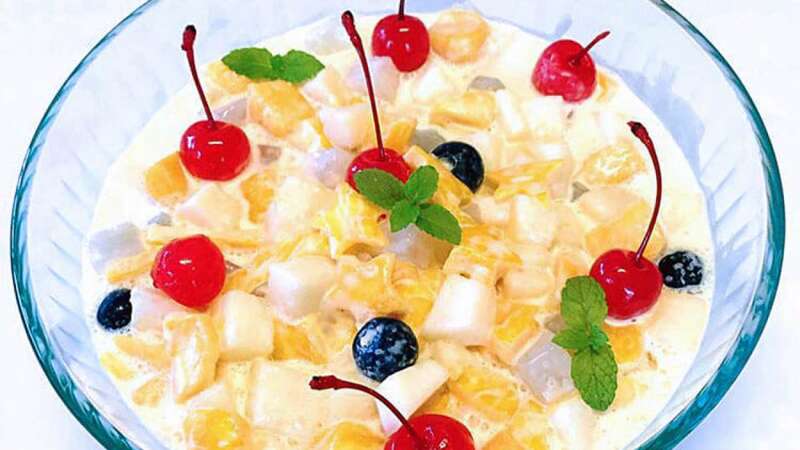 To make Navratri 2019 more happening, we have come up with some fruit salad ideas to entertain your taste-bud and as well as provide energy in sweaty summer days. Melon and Pineapple Fruit Salad: This fruit salad recipe is packed with homemade honey, lime, and mint dressing. Cucumber, Basil, and Watermelon Salad: This refreshing recipe combines watermelon and mango with flavorful add-ons like ginger, lime, cilantro, and peanuts to create a one-of-a-kind dish. Mojito Fruit Salad: This minty recipe is a great family-friendly treat for people in fasting period. Berry Watermelon Fruit Salad: This dish is so refreshing that you will want to make in many more times other than fasting sessions. Creamy Grape Fruit Salad: Grape salad spiced up with crunchy pecans, rich cream cheese, and sweet brown sugar will make your day. Honey Lime fruit salad: In this case, you just need to add lime juice, a little honey in the mix fruit cup. We’ll come up with more fruit salad recipes to satisfy your hungry stomach. Do, stay tuned with us always!